On November 12, 1990, the man who would go on to develop the World Wide Web published this proposal for linking and accessing information on the shared interface. Tim Berners-Lee wanted to initially streamline the collection and distribution of information at the European research center, CERN. By the end of 1990, the British computer scientist had developed a blueprint that still informs the way millions of people consume information. 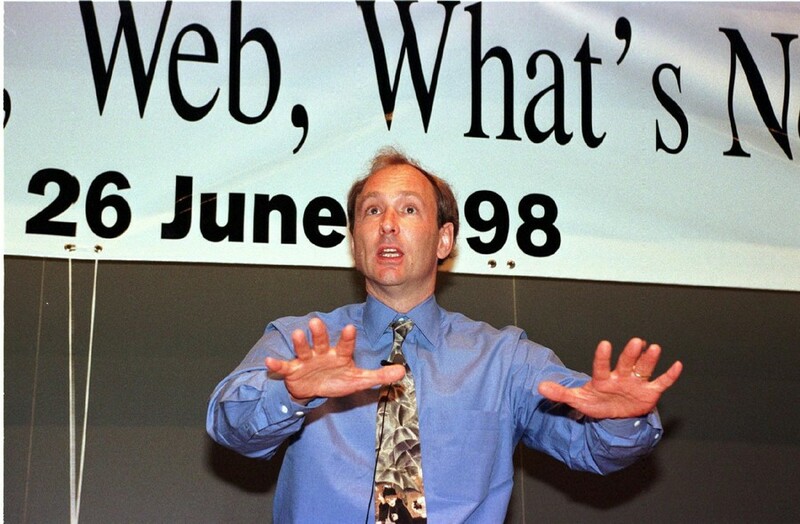 The vision for Berners-Lee’s early World Wide Web are detailed in a funding proposal for the World Wide Web dated November 12, 1990. In March of the same year, Berners-Lee had warned that important CERN information was at risk of being lost unless data could be pooled outside of ledgers and the agency’s fixed filing systems. His 27-year-old proposal shows how he pitched the idea as a loose, linked network of information to colleagues in Geneva. In the document, he explained the “hypertext project” would allow users to navigate through heaps of CERN reports and experiment data in one integrated system. The project was only intended to improve the day-to-day function of CERN. “The current incompatibilities of the platforms and tools make it impossible to access existing information through a common interface, leading to a waste of time, frustration and obsolete answers to simple data lookup,” Berners-Lee’s proposal stated. “There is a potential large benefit from the integration of a variety of systems in a way which allows a user to follow links from one piece of information to another one,” it added. However, the move away from siloed information storage to an interconnected and flexible system would enable the explosion of online learning and change the world forever. Interestingly, Berners-Lee and Robert Cailliau, who co-authored the 1990 funding proposal, surmised that approximately 80 000 would be required to develop the World Wide Web, however the currency is not specified. The project was slated to be completed over two stages, taking as little as six months. The duo also estimated that four software engineers and a programmer equipped with a “state of the art” workstation would be required. An office area or facility where engineers could work closely together was also requested in the pitch. “We feel it is important for those involved in the project to be able to work close to each other and exchange ideas and problems as they work,” the proposal said. In 1991, the innovation in browsing data went live to the public. The first ever World Wide Web page can still be seen thanks to CERN. The text-only page explains the concept of the web and the people involved in its development.